A month-old rumor that claimed Samsung will supply a "detachable" screen protector in the Galaxy S10 box turned out to be true. All members of the new Samsung flagship family - the S10e, S10, S10+ and most likely the S10 5G, too - come with pre-installed screen protector out of the box. That unprecedented move is apparently not because Samsung wants to save you a few Benjamins, but because the new second generation ultrasonic in-display finger scanner might have trouble working with third-party screen protectors. 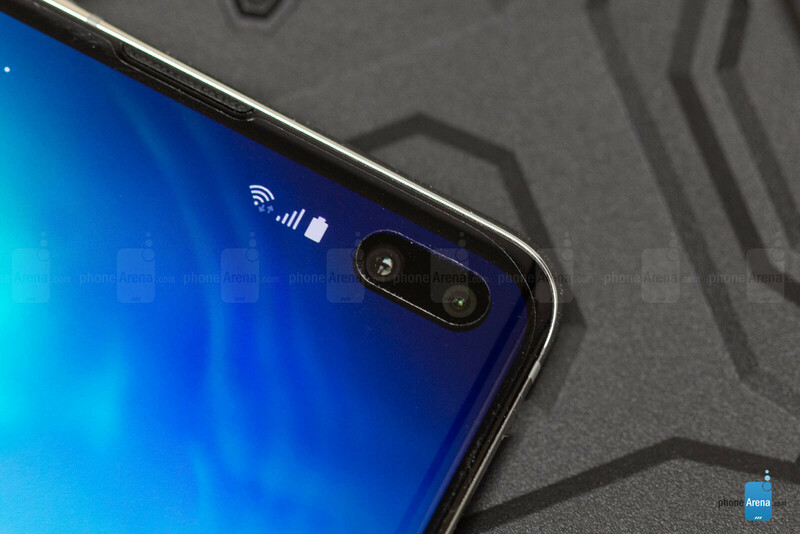 Samsung's official pre-installed one for the S10 series covers the side edges, too, while the "detachable" part might simply mean that it comes preinstalled, as a lot of Chinese phone brands do but you can still peel it off in case it is badly scratched or damaged and replace it if you so desire. Above and below are quick snaps we took of our S10+ as it comes out of the box. Samsung is even warning that you should then only buy the same official protector that is authorized to work with the new fingerprint reader instead of opting for a third-party one that might not work with the upgraded biometry. The official Samsung protector would cost $29.99 and carriers, as well as retail partners, are strongly advised to carry it instead of third-party ones. A few preliminary tests indeed confirm that the ultrasonic reader would work through a plastic screen protector but not through the thicker (and more expensive) reinforced glass ones that users usually get. However, it's not clear if the glass ones that are not made by Samsung would still be viable if you peel off the pre-installed protector. Most early testing is done with the official one still on which means double the thickness, and that might be why the fingerprint reader wouldn't work in that case. 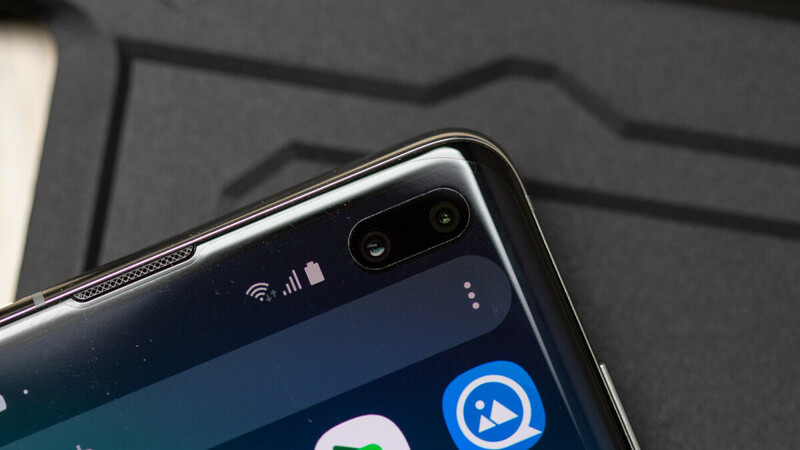 Needless to say, all of this touchy-feely drama isn't valid for the humble S10e, as it has a flat screen plus a regular capacitive finger scanner that is situated on the side of the phone, not under its display. I can confirm that the S10e also comes with a pre-installed screen protector. The screen protector on my OP6 looks great even today with no signs of detachment and almost no scratches, these factory-installed screen protectors look to be a great addition, especially with curved screens. The glass one was placed over the pre-installed screen protector as an added thickness, though, so a third-party might still work if the official one is off. I was thinking the same thing, MKBHD should do it again after removing the pre-installed screen protector.... That's if he didn't remove it before making the video. Whitestone dome protector works with the S10 series ultrasonic fps. This is a total hassle.who would have guessed having a ultrasound fingerprint scanner would cause so much trouble? It's the 1st Gen. The 1st Gen of everything comes with a few issues. So much trouble? Samsung basically has fixed the issue for you before it started. Apple should learn from this...tout a feature you offer (fast charging) but doesnt include the means to do it. Where exactly is the hassle here? It has a screen protector already on it. Great. If you don't like it, take it off. I personally always use one & I hate applying them, so they're doing me a favor. We all know you just enjoy being a troll, but this is just pitiful. How is it a hassle when it comes preinstalled with a screen protector. It is more hassle on phones which do not come with a screen protector preinstalled. I don't even have a screen protector on my S9. Curved screens are not such a great design when it comes to protecting them. I have no interest in paying $30+ for a screen protector. If screens were flat, you could buy $8 glass protectors on Amazon all day long. I don't see the point of the "place phone in tray. Add adhesive. Drop screen protector in place. Turn on UV light." Way too much work. The screen protector doesn't do anything. He's being smart by not using one. Never used a screen protector on my Note 7, S7E or Note 8. Dropped all 3. Not a scratch. Depending on the case screen protectors aren't needed. Screen protector is for $30 and no one is bothered at all about the pricing? I mean Its great that it is coming Pre-installed, which is why it seems okay. But the day the protector needs to be replaced for whatever reason is the day one would understand the horror. A good screen protector could last for years or till you replace your phone (or until you break it). If it's too expensive, get a plastic screen protector, you could get 1 pack (5 pcs) for under $5. The horror? That's what we call exaggeration. “If it's too expensive, get a plastic screen protector, you could get 1 pack (5 pcs) for under $5.” You know. You would have been right to quote me this, if $5 screen protectors will work properly. Samsung is recommending to use theirs for a reason. And furthermore, I said if the screen protector needs to be replaced for whatever reason. Wether they come for a year or few months is upto the user. “That's what we call exaggeration.” - why? I mean when Apple releases a clear care for $40, it was equally horrible but atleast in their case it did not come with “we recommend you to use our clear case”. Not talking about you guys but As long as the world is filled with blind hypocritic haters who will say yes to everything Samsung or any other company. These guys will find new ways to keep charging their consumers for no good reason. If spending $30 is a "horror" for you as you put it, then perhaps you should be looking at a lower price range of phones. See what you did there. Spending $30 is not equal to spending $30 on a screen protector. And its not about me or you. Anyone who can afford to buy something does not just throw money. There needs to be a sense of worth. My point is companies that have a very loyal customer base often take advantage of these customers by these tactics. And I mean most of the companies, not just Samsung.